Yeah. I was thinking the same with the flowers as background. I'll try and get an image with some more brown uploaded soon. Yeah, I've been back to look at this several times and each time I love it more. It's completely not what I had in mind, but I love it. I'm not even sure it needs to move more brown. no! I like the colour as it is, it's lurvely! I've been chatting with Dave and going through here with him, he also really likes this one. He did say however that he would like on this new one, to not have it be a small box on a large white background given that monitor resolutions are going up and up. What I was thinking was that maybe if we could put the splash on a similar coloured background (maybe the same or maybe a different tint the way you did for the sub-boxes) with those flower prints, that would do it. We could use the inverse of that, perhaps, as the forum background). Or if you can think of some other way that scales nicely from 1600x1200 to 800x600 then I'm definitely all ears. If we can't do it, then we'll go ahead and do it the way we were planning to, it was just something to keep in mind. I'm loving the images. I can see why matching up the fonts is the way to go more than ever. And the simplicity of it all. Less is more. Nice. The splash!, especially the pic of FB, looks so clean. As far as the news font goes, personally I would stick with whatever is being used currently. I am trying to work on a background image now. What size is the tiled image you use? Active Duck, that's so beautiful, clean is the word. I'm loving it! fool somebody, but you end up fooling yourself. Whatever you want on the tile size, honestly. I think our current image is probably in the neighbourhood of 800 square. First I really want to thank everyone especially Frank Black Conspiracy, Apl, Tre and Dean who have gotten us to this point! Wow Active Duck!! Thanks so much. I can't even imagine how long it took you for to do that design... it looks incredible. Personally I really like the color scheme the way it is in your design. Definately Dean and Dave bring up a point about what works best give monitor resloutions. But I really think this is an amazing concept and given the feedback we're recieving I defintately think this is the way to go! I am going to post now and follow up right away with some next steps. 1. Background page: Active Duck can you mock up a background similar to what we have with the same flower artwork you showed us in the splash. Can you make the frankblack.net logo a little more prominant? If possible, can you play around with the location of the logo? 1b. Color forum topic bars, posting box ect. That Tre has been working on. Given the new color sceme, I wonder how a grey, steel grey or grey-green would look. Any ideas? 2. "Splash" frankblack.net page-- It looks like we're all in agreement of Active Duck's graphics. Further comments? 3. Design graphics for header (to bio, music, images, links and web team pages). This consists primarily of one main graphic in the top center of the page. -- Dean, is it possible to have several images in the top left corner that rotate as the site is refreshed by the forum member? These pictures could be from different points of Franks career. --Active Duck, I am wondering if we can combine the graphics FBC and Tre proposed with the color, font and perhaps flowers you came up with. 4b. 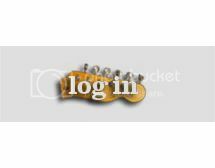 Log Out/Log In box: Can we see a mock up with Active Ducks Login font as well as FBC's gutair design? I think that's cool. I know we're keeping it simple, but it would be cool to see both in a mock up. 5. Make sure the font across graphics and main parts of the forum. For these use one that is similar to FrankBlackFrancis logo. 6. Update the tiny dog and star graphics that are used as bullets on the main page with a more Honeycomb inspired version.Update With flowers similar to Active Duck's design or other suggestions mentioned earlier? Any other suggestions? d. Post Kitties-- change to flowers like active duck's design?, typewriters?, bees? or another design? Thanks all for your contributions!! So what colors do we think will go well with this new color scheme?? I would like to see the browns that we have been working on but would also like to see a grey/steel grey/or grey green mock up as a contrast too. Thanks again everyone.. Also..thanks to the forum members for popping your head in to comment too!!! Well, it's taupe, so it'll probably still go nicely with some muted browns (the what's new box is a light brown), I don't think we have to scrap that. We can introduce more grays into it though as a result. It'd be easy enough to make a rotating script (I've developed one on another website to cycle through different front page art), but the placement of that banner is built into the forum so we can't cycle them. I'm actually fine with not having Frank's picture there as I really like how he's integrated the flower theme and tied the front page in with the site. I'm still happy to see more variations on this theme, but I really do like the tie in. I don't want to go overkill with the flowers, though. They'll probably be background imagery (obviously it's not done yet) and it'll be in the forum banner and on the front page, let's try to come up with alternate iconography for the kitties, heart/spade/etc. I think for the show related ones we could potentially use the flower again (or some other icon representing his non-Pixies career) for FB solo stuff and then TV/radio icons for the rest, rather than theming those too. Will make that a little easier. 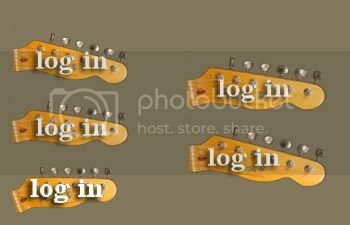 I'm fine with a simple text log out as well, but both Dave & I really liked that guitar, so it'd be great to see how that would look with the right font (and if it will fit thematically - it looks awesome stand-alone, but I'm not sure how it'll fit in). I guess we're moving the site to a more refined/simple and less cartoony look, which first became evident in Apl's first splash screen, then Tre's first non-beehive background, and now is definitely the case with Damien's latest work. I really like the way you can see ideas feeding off each other and the way this has organically grown to its logical conclusion. Nice work on everyone's part! If we can keep going at this rate, I'd like to attempt to move up our launch date to April 3ish. Can we see a mock up with Active Ducks Login font as well as FBC's gutair design? Yeah, definitely considering. It'll be on a white background most likely, but I wanted to see that it looked good with that colour and it does. The only thing is I'd chop the image at the bridge evenly (or whatever you call the 0th fret). will do. will have them up here in a little while. What font are you using, btw? Active Duck, that's lovely. Everything looks very nice - love the new login/out buttons too FBC. Glad this is coming along without my help, as things have gotten too busy for me to contribute anymore. Good luck with the redesign everyone! Should be a beautiful site when it's done. Also, there definitely needs to be a "log out". Maybe one with no text at all? Apl, I'm disappointed of course, but I definitely understand. Apl, sorry you can't help out anymore. Just wanted to say thanks so much for all your contributions until this point... we couldn't have gotten here without you! Anyway, if things calm down a little bit, please feel free to pop in and share your thoughts! Thanks again Active Duck and FBC for everything !!! Wow ... its so cool! FBC I really like what you're showing us... I am thinking that I like the one on the top right. The reason I like that size is that you can see the detail of the strings... but I guess we probably will want to put a couple of your versions in the mock up to see what works best. Also, just wanted to share with you guys Tre emailed me with a good idea. Maybe we could see if we could use FBC's gutair buttons in place of the stars/dogs on the main page? Dean, I am thinking just be be consistent we should have log out on there too... also a little less confusing. Sorry, I meant we should have a log out one and also one with no text at all in case Damien needs to tinker a bit or something. 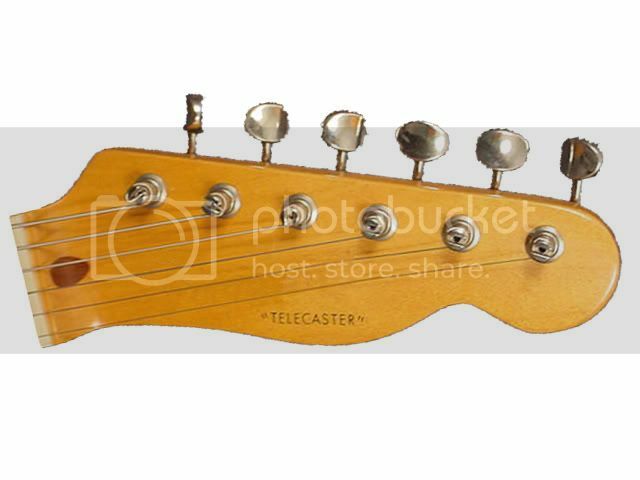 Here are two larger images of the fender telecaster headstock if Active Duck needs them. Cool!! Thanks guys!! I am just so pumped up by all this cool artistic vibe that's going on here!!! Hey, just checking, is everything covered now? Or is there anything else you want updating (images)? Well since we decided on Active Ducks' graphic in the corner of the page that says forum for the forum page, I guess we can get one for each page eventually that says main page, song data base and what not. Although we've talked about what we would like it to look like, we haven't decided on the background. I don't think anyone specifically has taken the lead on this yet. We also as a nit picky detail were looking into redoing the dog/star bullet points for the main page. I do think the gutair icon you came up with would be cool here. We're also looking for an alternate icon for the post kitties as well as the heart, diamond, spade imagery used for tour dates on the main page. So if you could help out with that that would be cool. I think active duck is working on a background to tie in with the flowers from the splash and the forum header. forum: kitty icon - are we still moving to bees? and r.e. colours, if we're keeping this taupe the dark brown of the main borders still works but the sub borders would have to be another shade of taupe I think to keep it all uniform, when it looks like we have a definate background daisy I'll recolour the mock up things to show you. my two pence worth there.. Thanks for the update smk (you too daisy), and the compliment. think we've done swell so far. As always thank YOU for the initiative and all the creative inmput! As well as everyone that's been helping out! i will try to upload the background(s) that I've been working on when I get back from work later today. Thanks Active Duck. I really appricate your help!! Looking forward to seeing this. Hope everyone had a good easter, let's get this ball rolling again. When I finished work I got a call and ended up going home for a few nights. Here are the delayed attempts at a background that I promised. Yeah, that print background looks great! Can I get that as just an image by itself, another copy with the colours swapped (as close to a primarily white background as possible since that one is darker), and a final of just the splash? Thanks a lot. Kathleen, where does this put us in terms of what is left to be done?